Has Vicky Kaushal Become too Big For His Shoes After the Success of Uri: The Surgical Strike? 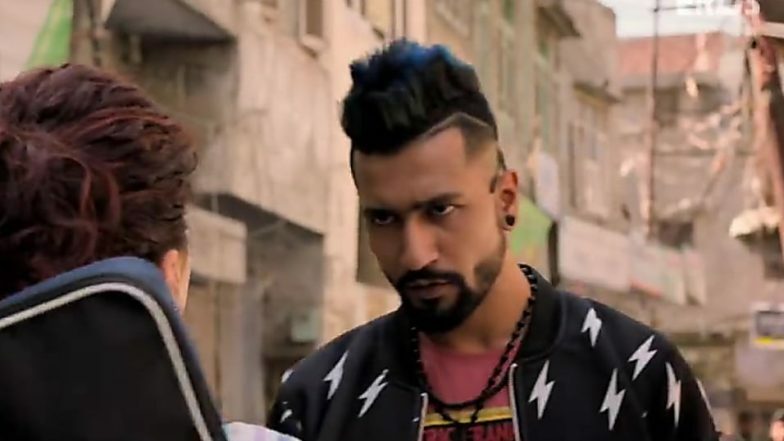 Vicky Kaushal has sure earned his place in the film industry. The start wasn't easy for him but now that he is finally getting recognition for his craft, the actor only aims to soar higher! And looks like the fame and success is getting into his head now. Nope, that's not us saying it but a filmmaker who has worked with Vicky in the past has revealed some shocking deets about the actor's changed behaviour. As per a report in Deccan Chronicle, Vicky has become too big for his shoes. After the success of his previous films like Sanju, Manmarziyaan and Uri: The Surgical Strike, the actor only hangs out with Karan Johar and his gang. Apparently, he thinks he should be dating someone as 'big' and popular as Katrina Kaif or Alia Bhatt. No wonder reports of his breakup with Harleen Sethi have been doing the rounds lately! Ahem! Vicky Kaushal Took Romance Lessons From Katrina Kaif Long Before he Made his Acting Debut - Watch Video. "I don’t think I can get the same actor for the same price. His market has changed. I don’t know whether he has changed. But he now hangs around with Karan Johar and his ilk. So I guess they advise him on how to move forward in life, And that’s a good thing," the director was quoted by the daily. He wished to not reveal his identity. Apparently, he also revealed that he approached Vicky for some of his upcoming projects only to realise that he couldn't afford him any longer! Well, looks like Vicky is now acting all pricey! Vicky Kaushal’s Growing Closeness With Takht Co- Star Bhumi Pednekar Cost Him His Relationship With Harleen Sethi? "He is climbing up that ladder so fast he can’t see the ground below him,” the director added further. Well, if that's the case, we'd warn Vicky to slow down a bit. Because Bollywood is the kind of industry where nothing and we mean NOTHING is permanent. No even success.